In 2016, 115 Americans died every day from an overdose involving prescription or illicit opioids. Addiction to any drug has multiple components—altered functioning of the reward system, learned associations with drug cues that promote preoccupation and craving, and changes to prefrontal circuits necessary for proper exertion of self-control. But physiological and psychological withdrawal symptoms play a major role in driving users repeatedly back to the drug, despite efforts to stop using. Withdrawal is notoriously hard to endure for people addicted to opioids. Physical symptoms can start a few hours after last taking the drug and may include stomach cramps, aches and pains, coldness, muscle spasms or tension, pounding heart, insomnia, and many others. These symptoms, along with mood changes, like depression and anxiety, are a major reason people with opioid addiction may relapse. Yet until now, no medication has been approved to treat withdrawal. This week, the Food and Drug Administration (FDA) approved lofexidine, the first medication targeted specifically to treat the physical symptoms associated with opioid withdrawal. NIDA’s medications development program helped fund the science leading to the drug’s approval. Lofexidine could benefit the thousands of Americans seeking medical help for their opioid addiction, by helping them stick to their detoxification or treatment regimens. Two of the three FDA-approved medications to treat opioid use disorder, methadone and buprenorphine, can be initiated while a person is experiencing withdrawal symptoms, and can help curb craving. However, these medications are not always easy to access, and at this point are only received by a minority of people with opioid use disorder. The third FDA-approved drug, extended-release naltrexone, has also been found effective, but only after people have been fully detoxified. The need to detox first—and endure those symptoms—prevents many patients from being treated with naltrexone. Lofexidine could make a big difference in making the latter treatment option more widely used. Lofexidine is not an opioid. It acts to inhibit the release of norepinephrine in the brain and elsewhere in the nervous system. It was originally developed as a medication for hypertension, but has mainly been used for opioid withdrawal in the United Kingdom since the early 1990s. US WorldMeds acquired a license for lofexidine from Britannia Pharmaceuticals in 2003 and will market it in the US under the brand name LUCEMYRATM beginning this summer. NIDA helped fund the clinical trials to test lofexidine’s pharmacological properties, safety, and efficacy in patients who were discontinuing opioid use under medical supervision. Lofexidine cannot address the psychological symptoms of opioid withdrawal; further research is needed to develop medications that could address mood problems during detoxification and after. But approval of the first medication to treat the physical symptoms of opioid withdrawal is a major milestone, one that could improve the lives and treatment success of thousands of people living with opioid addiction. And by helping prevent relapse, it could save lives. The approval of lofexidine is also a welcome example of the power of public-private collaborations in developing new treatments. How is this a new treatment? First Thanks Dr. Volkow for your great work in the field of addiction. I am a huge fan. But I do find the heading for first approved FDA drug in NIDA website a bit misleading. This is not a new drug. But correct me if I'm wrong this drug has been in use for two decades as part of rapid detox or otherwise to manage withdrawal. It just gained FDA approval and a new brand name. I suppose it will make access easier and insurance more willing to cover (I'm sure it will be costly) but it isn't new drug. I agree we need more medications to treat physiologic and psychologic symptoms of withdrawal. 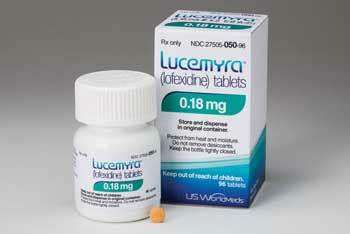 Lofexidine is the first FDA approved non-opioid medication for treating opioid withdrawal. Clonidine is a similar medication that has been used off-label for years, but lofexidine is a safer option that has been approved for this indication. But this drug do not seem to provide any relief as far as psychological obsession of opioids are concerned. I guess, only psycho-social counselling can deal with psychological obsession of opioids, isn't it? There is a PLANT, that DOES address both the physical AND psychological symptoms of opioid withdrawal called IBOGAINE. Why has the FDA and the NIDA tried so hard to keep it from being tested in clinical trials and used to help end this “epidemic? Because it doesn’t need to be manufactured. It’s a PLANT. That means there’s no pharma MONEY in it. The NIDA did fund clinical trials and found that it works, then BURIED it with the false claim that it can not be used because it causes neurological damage. But there are many drugs that cause some damage but are being used, such as TAXOL, a cancer drug. Why is TAXOL still on the market if it causes neurological damage? Why not BAN it? IBOGAINE, in small doses, is well with the range of what the FDA and NIDA consider to be safe. It is likely even more effective than Lucemyra, since it eliminates cravings as well. But what’s more important, the lives of Americans or MONEY? You know the answer, NIDA. I have learned that repeated exposure to addictive drugs disrupts activity in the prefrontal cortex, which is responsible for restraining impulses.Also it is your decision and choice to continue with addiction but when your prefrontal cortex is weakened by an addiction it does not reward you with the results and your prefrontal cortex fails you. One of my close friends has went to rehab for substance abuse and because her tolerance was so strong she consumed large amounts of heroin, it seemed her body could not function without. As she was detoxing the withdrawal was increasing, with symptoms such as, fatigue, nausea. and hallucinations. This caused her to want to quit but avoiding withdrawal seemed a better choice. Addiction is a way to deal with stress and leads to very serious outcomes if not treated. Also Methodone, Buprenophine, and levomethadyl have been used to treat addiction and producing long lasting effects. These drugs are harmless and used to treat people with opiate addiction and only have to be taken a few times a week instead of daily uses. Although these drugs do not cure the addiction they seem to satisfy the craving in a less dangerous way! The following website can help you find substance abuse or other mental health services in your area: www.samhsa.gov/Treatment. If you are in an emergency situation, people at this toll-free, 24-hour hotline can help you get through this difficult time: 1-800-273-TALK. Or click on: www.suicidepreventionlifeline.orgExternal link, please review our disclaimer.. We also have step by step guides on what to do to help yourself, a friend or a family member on our Treatment page. NIDA. "NIDA-Supported Science Leads to First FDA-Approved Medication for Opioid Withdrawal ." National Institute on Drug Abuse, 16 May. 2018, https://www.drugabuse.gov/about-nida/noras-blog/2018/05/nida-supported-science-leads-to-first-fda-approved-medication-opioid-withdrawal. NIDA. NIDA-Supported Science Leads to First FDA-Approved Medication for Opioid Withdrawal . National Institute on Drug Abuse website. https://www.drugabuse.gov/about-nida/noras-blog/2018/05/nida-supported-science-leads-to-first-fda-approved-medication-opioid-withdrawal. May 16, 2018. Why do our brains get addicted? Welcome to my blog, here I highlight important work being done at NIDA and other news related to the science of drug use and addiction. Receive Nora’s Blog Articles in your Email!